An alcohol-free (anti viral and bacterial) waterless hand sanitiser for people on the move or have no access to hand washing facilities. 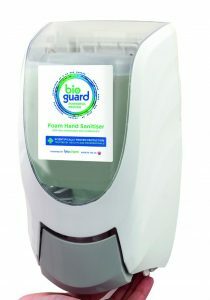 New-generation waterless and alcohol-free alternative to more traditionally used hand-gel sanitisers, independently tested to BSEN1276 and BSEN1500, and non-hazardous to use. POWERFULLY EFFECTIVE – Independently tested to British and European Standards BSEN1276 and BSEN1500. 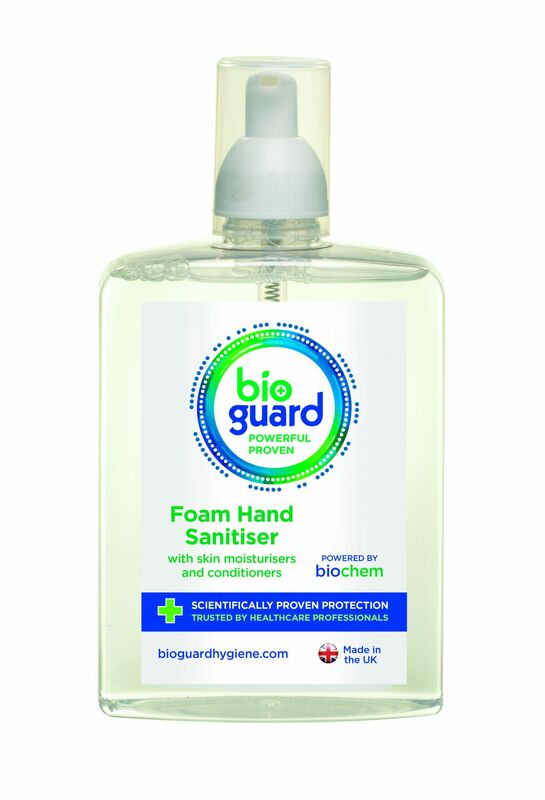 Effective against 1000’s of viruses, bacteria, mycobacterium and spores, including MRSA, Tuberculosis, Hepatitis C, Salmonella, Avian Flu (H5N1) and Swine Flu (H1N1). For more details, please refer to our Independent Test and Safety Information CD. 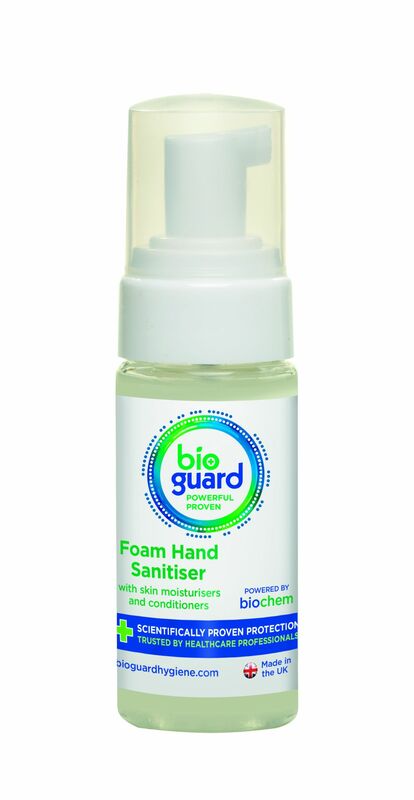 USER FRIENDLY – Unlike more traditional solutions is not alcohol-based; contains cosmetic-grade skin conditioners and moisturisers, to safeguard users’ hands from irritation or sensitisation. 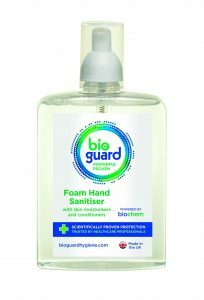 TIME AND LABOUR SAVING – The combined cleaning and disinfection action eliminates the need for separate products and procedures. ENVIRONMENTALLY FRIENDLY – Proven by independent environmental audits to be non-toxic, biodegradable and non-accumulative in the eco-system. No special procedures are required for product disposal or in case of spillage. Bioguard hand & body foaming cleanser is formulated for use in any healthcare environment where there’s a risk of infection from dangerous micro-organisms.